Wonderful unit, Florida Avenue level. Parking space and patio, in-unit laundry. Newer kitchen, updated Corian countertops. High ceilings, spacious - feels like you are on vacation year round. 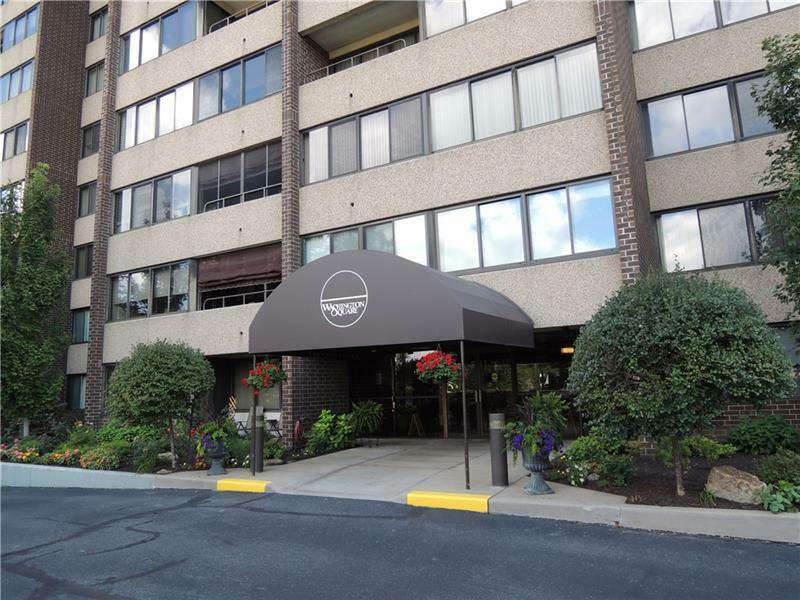 Access to everything - Uptown Mt Lebanon - dinner - shops - entertainment - light rail and more. Party room, exercise room, guest suites. Valet service, 24/7 security. Well run building, fully staffed. Formal entries for the building in Washington Road and Florida Avenue. Hello, I'm interested in 750 Washington Road #101.